This is a scan of the 2019 Ford Mustang sales brochure printed booklet. There is also an electronic version in a slightly different format. 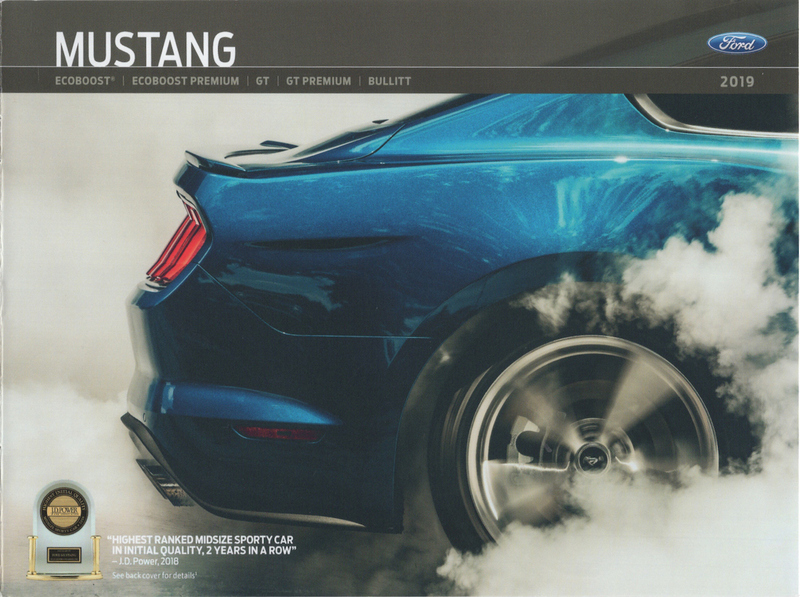 This brochure features the 2019 Mustang EcoBoost, EcoBoot Premium, GT, GT Premium, and Bullitt special edition. The 2019 Mustang Shelby GT350 is not in this sales brochure. There is a dedicated one for that model.